Gary—a city that social reformers had already dubbed the “City of the Century”—seemed a perfect site to try out new types of urban housing. 72 of the original 96 "Edison Concept Houses" survive in Gary, Indiana. Close your eyes and imagine that the suburban homes that sprawl outward from this nation’s cities disappear—the wood, brick, stucco, vinyl and aluminum siding, all of it gone. Replace all of these familiar materials with one—concrete. Single family homes with concrete front porches and ornamentation. Block-long attached concrete row houses and multi-story concrete apartment buildings, and perhaps even concrete furniture inside the homes—the picture brought to mind is probably cold and uninviting. But for many Hoosiers—in fact, for Americans everywhere—the notion of cities and towns full of concrete residences fit perfectly with notions of progress and modernity at the turn of the twentieth century. In 1906, the United States Steel Corporation founded Gary, Indiana. In the same year, America’s most celebrated inventor, Thomas Edison, applied for a patent for “a metal form and a method for constructing a concrete house in a single pour”. Edison envisioned the streamlined construction method as a housing solution for the working classes. 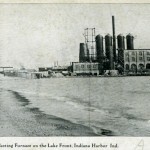 The steel works and the city of Gary grew up quickly, and other subsidiary companies, including the United States Sheet and Tin Plate Company, soon set up shop along Lake Michigan’s Indiana shoreline. Thousands of workers poured into the city in these early years, creating an instantaneous housing shortage. Gary—a city that social reformers had already dubbed the “City of the Century”—seemed a perfect site to try out new types of urban housing. Reformers and journalists excitedly promoted concrete homes as “fireproof, sanitary, and vermin-free” while executives at the Tin Plate Company saw concrete as a quick and cheap material for company housing. In 1910, the Tin Plate Company announced its plans to build concrete dwellings, and by 1914, ninety-six so-called Edison Concept Houses stood within Gary’s city limits. Although Thomas Edison never had any direct involvement in the construction of these homes—the Tin Plate Company did not even use his forms, instead opting to do business with Milwaukee-based Reichert Forms—the popular press regularly associated the inventor with the Gary project, which added to the allure surrounding the project. The metal forms were intricate and allowed for a variety of building styles and ornamentation that countered critics’ assertions that concrete housing would be monotonous—and Edison’s suggestion for filling the homes with concrete furniture was scrupulously ignored. Despite all of the initial enthusiasm for concrete houses from multiple interested parties, the experiment failed. At the end of the day, concerns for cost determined the fate of housing in Gary. As the construction process went over budget, deadlines came and passed, housing demand slowed, and the First World War siphoned building materials overseas, the Tin Plate reverted back to traditional wood and brick homes. City and neighborhood planners from across the nation who were using Gary to measure concrete’s viability followed suit and forged ahead with more familiar building techniques. Visitors to Gary can still see seventy-two of the original structures in an area known as the Polk Street Terraces Historic District. 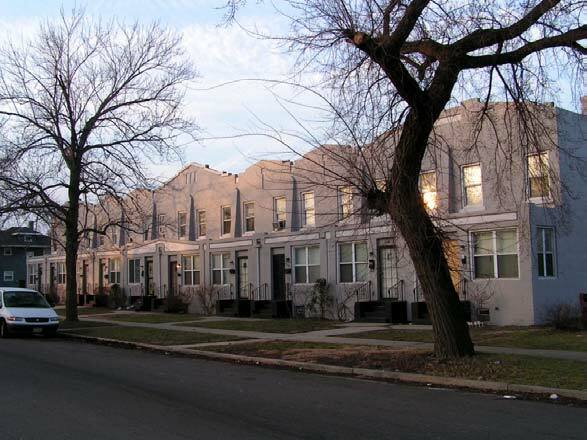 The Edison Concept Houses–some privately owned, others serving as public housing —provide a concrete example of what modernity looked like at the dawn of the twentieth century. A Moment of Indiana History is a production of WFIU Public Radio in partnership with the Indiana Public Broadcasting Stations. Research support comes from Indiana Magazine of Historypublished by the Indiana University Department of History.